19 photos of assorted blue diesels. 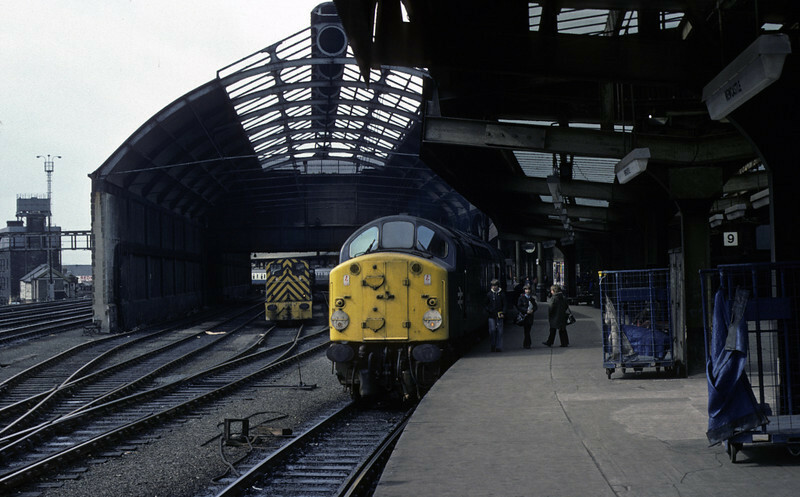 40054, Newcastle, 27 March 1976 The 40 stands at platform 10 with the 0610 from Liverpool Lime Street. It was withdrawn in 1977. Photo by Les Tindall.